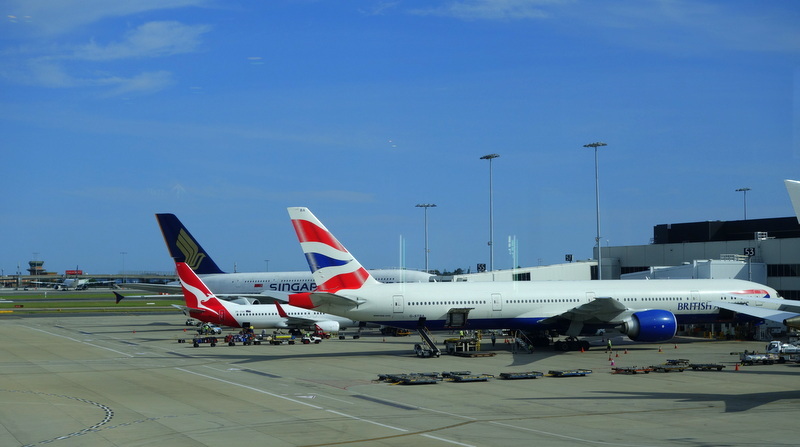 Australians are pretty spoilt for choice when it comes to options to fly from major cities in Australia to London, a city which we can safely say is the hub of Europe. 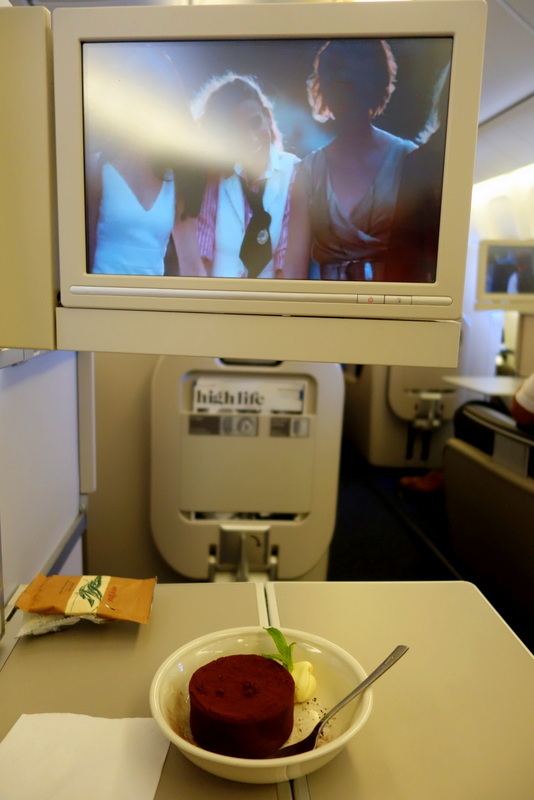 As I will be spending time in London and will be in Europe for quite a while, it made sense to fly British Airways. 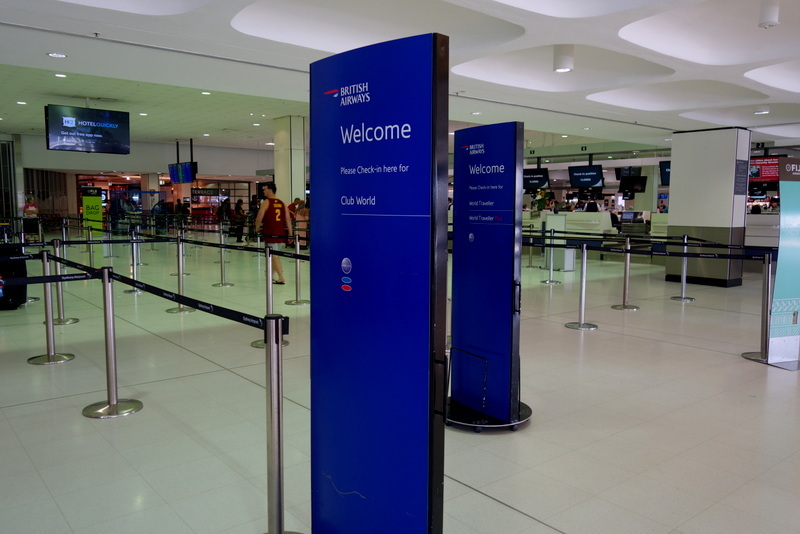 Being the UK’s national carrier, London is BA’s hub and flying from Sydney, it stops briefly in Singapore to refuel. (No airline flies direct from Australia to Europe / UK at the moment). 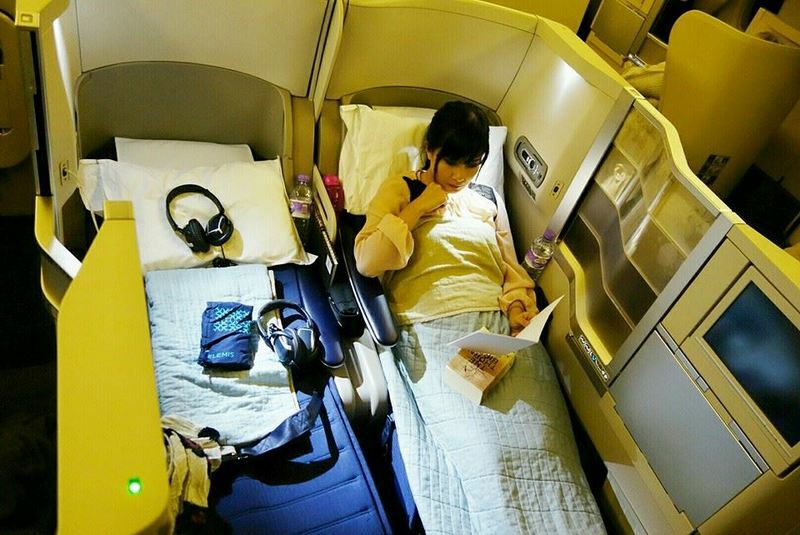 Also, it was British Airways that pioneered the lie-flat seat concept in Business Class back in the year 2000. Fast forward 15 years later, not only do most airlines offer a lie-flat seat on their premium products, but also engage in a fierce competition as to which airline offers the most value for money. 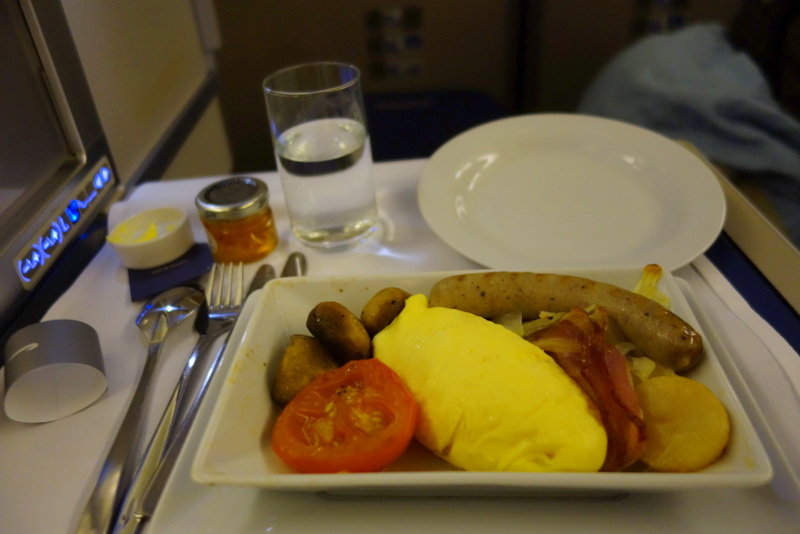 This is my first time to fly British Airways long-haul, and without further adieu, allow me to present the trip report. With a departure time of 16:30, we were at the airport by 13:00 and the rush hour of Sydney Airport has well and truly gone by then. It was a pleasant check-in and overall airport experience at this time. There was hardly a queue at check-in for all classes in British Airways, and I initially thought it was due to the flight not being full. I later discovered it was actually a full flight so I have to say that the quick check-in is due to the check-in agents’ efficiency. One thing that I found quite unusual with British Airways is their hand luggage allowance. While it does have the usual size restrictions, 40cm x 30cm x 15cm for a handbag / laptop bag and up to 56cm x 45cm x 25cm for the additional bag, the maximum weight per bag is 23 kg and you must be able to lift and store the bags in the overhead compartments by yourself. This is certainly very refreshing from the usual world of 7-kg hand luggage allowance, and most certainly very last-minute shopping-friendly! 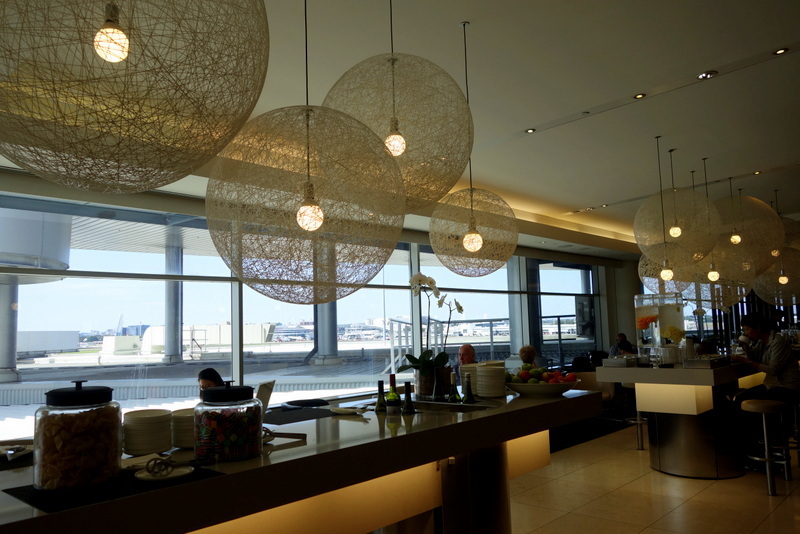 British Airways being a One World airline, uses the Qantas Lounge in Sydney International Airport. There’s a fair selection of light and healthy meals (lots of beans, quinoa, soup and pasta salads). But there’s also a gelato station which makes waiting for your flight a whole lot sweeter and more fun. Boarding was on time and just as efficient and speedy as check-in. Minimal fanfare with absolute efficiency. Drinks and hot towels upon boarding as soon as we got settled in our seats. I mentioned this ad because British Airways’ boarding music is a modern version of Yanni’s Aria which I really like. It’s very catchy and uplifting. With seat numbers 13G and 13F on the Sydney – Singapore leg, it meant we were seated on the middle section (seat configuration is 2-4-2) which had the aisle and inside seat. This also meant that we had the ‘yin-yang’ seat arrangement, where passengers sit next to each other but face opposite directions. 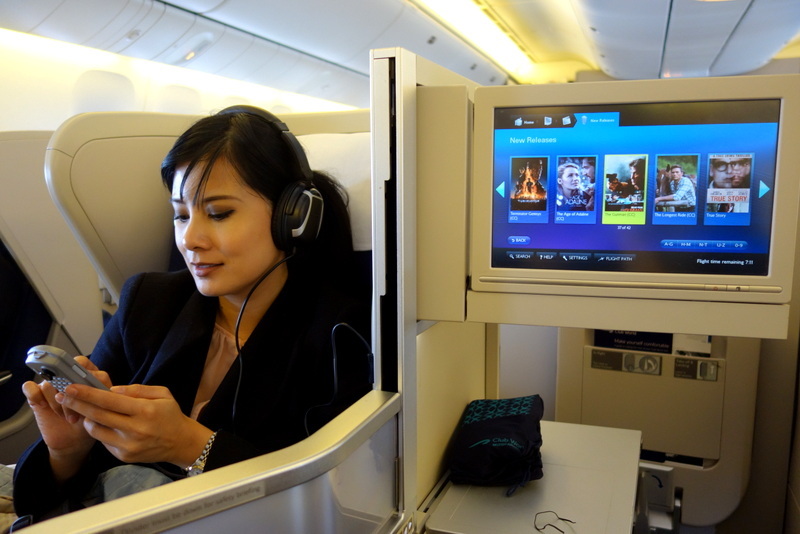 For solo travellers who would like solitude and silence, a privacy screen can be lifted but this must remain down during take off and landing. When the privacy screen is down, it is quite inevitable to hold brief eye-contacts with the passenger you are sitting across from. I can see why this can be slightly awkward for strangers (or hey, it can be a ‘how I met your mother/father/ my best friend moment”) but for a travelling couple like us, this was a surprising and refreshingly pleasant quality time. I called the seating experience our unexpected “couples therapy” Well take watching movies for example. Normally, when we are sitting on an aircraft side by side, I would just get a glimpse of what Zombie is watching from his entertainment monitor (and it usually would be a Young Adult film think: TMNT, Teenage Mutant Ninja Turtles) and I would just sigh, roll my eyes and continue with my own movie and food. But this time, what I saw were the glee in his eyes and complete joy in his chuckles over what he was watching. The seating configuration overall encouraged interaction which was also great because flying long-haul usually meant we would both be wrapped up in our own world / movies. 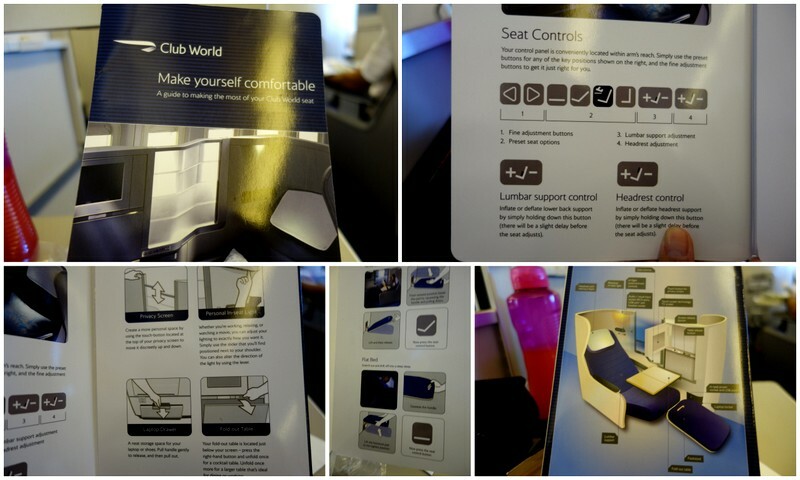 The Club World (Business Class) seats on British Airways comes with its own instruction card to utilise and maximise your comfort on its lie-flat seats. The instructions are quite detailed, as the seat has essentially 2 parts. One is the seat itself, and the other is a ‘leg rest’ contraption that folds down to form the last 1/4 part of the lie-flat bed. 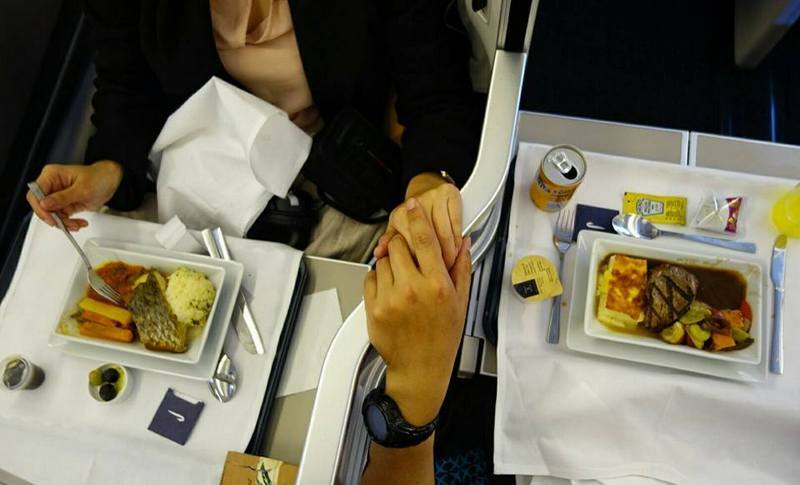 If you are travelling as a couple, these middle seats offer more exclusivity and privacy. With the privacy window up, it felt like you are in your very own couples capsule. What is it like flying backwards? This was one of the F.A.Q that I got when I uploaded photos of the seat on social media. Driving or riding a land vehicle backwards can be nauseating but I can tell you with certainty that it is NOT the same case when flying backwards. I honestly didn’t feel any difference when flying. During take-off and landing, of course there was a change in sensation as the throttle is felt on the opposite side. But it wasn’t nauseating at all. Was I able to sleep soundly? The seat converts to 183 cm (6 feet) flat bed. I slept quite soundly. With seats that lie-flat, there really weren’t any issues with regards to sleeping well. I do not take sleeping medications but instead listen to sounds under the “Wellness & Relaxation” music genre of BA’s in-flight entertainment. 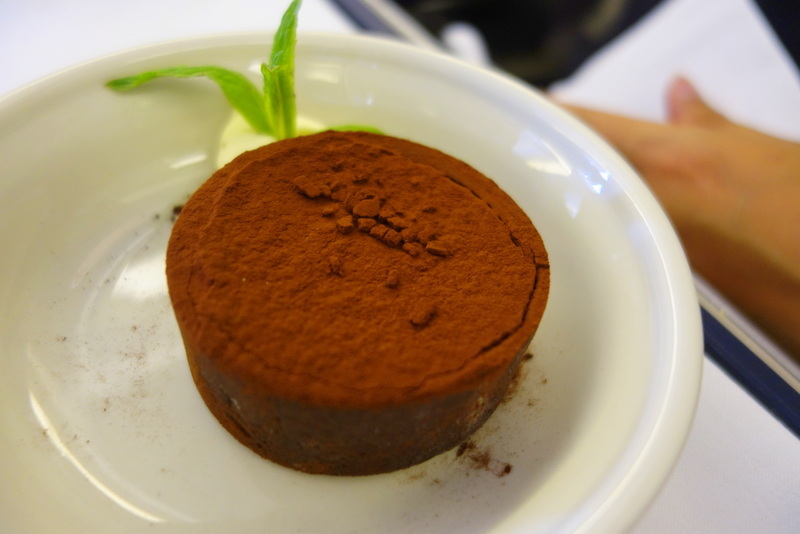 The Club World menu of British Airways has it written down that they utilise “Height Cuisine” in creating the meals on-board. 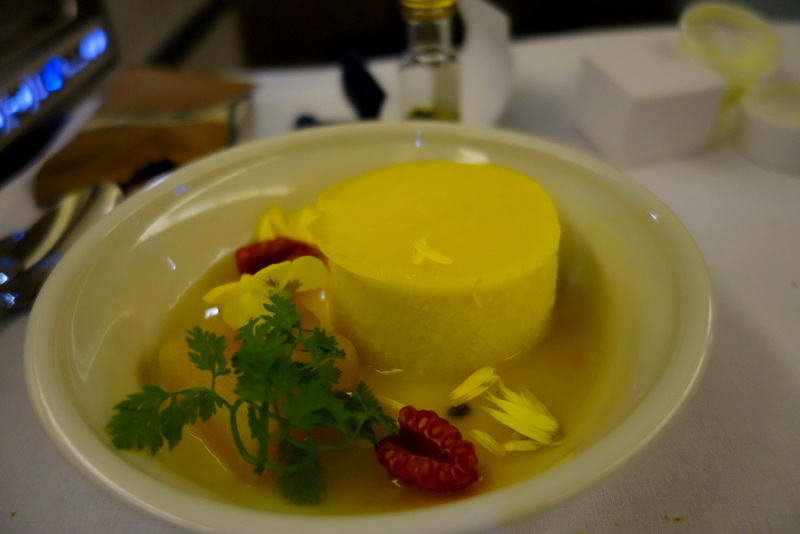 It means that they use the freshest local ingredients to produce food packed with flavour at altitude. This is good news for me because it meant not using extra seasoning and flavours to give more taste to food in altitude. 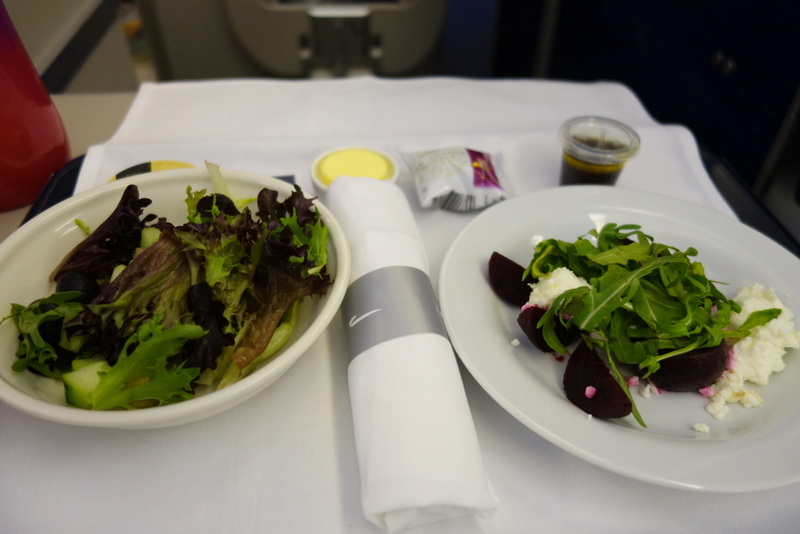 I would describe the British Airways in-flight menu as safe and basic. Nothing too exotic or unknown. The meal service was served from a singular tray (starters, main and dessert) which was quite practical. I didn’t pre-order special meals but just chose the pescetarian choices (seafood or vegetable) in the menu. Meals with meat were ordered by Zombie. 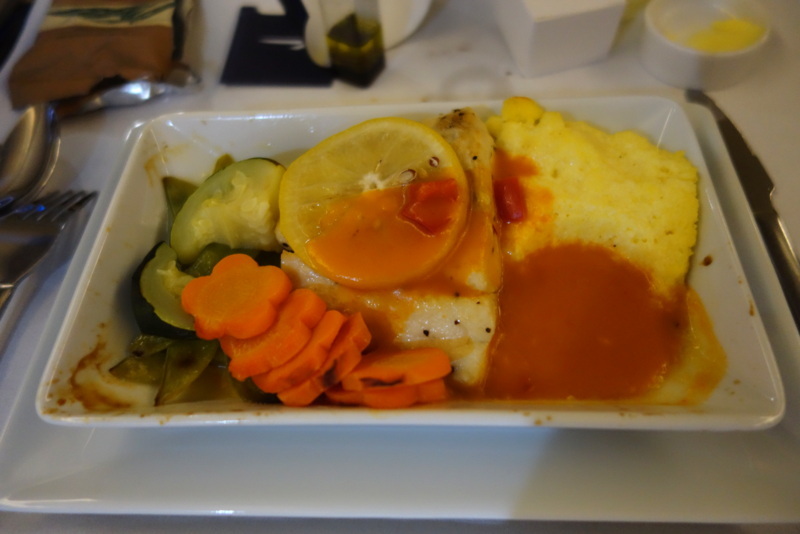 There is an abundance of seafood in the regular menu so I was quite happy with that. Roasted baby beetrood & persian feta salad. I enjoyed the barramundi immensely. 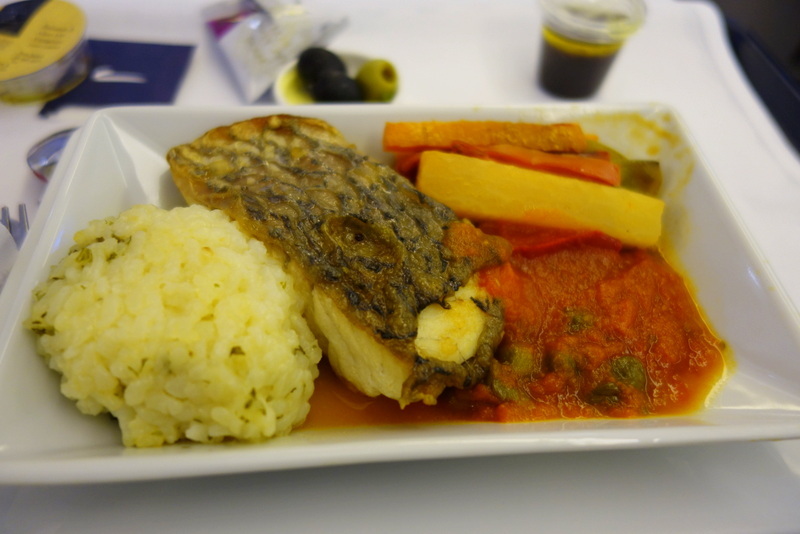 Though, like the steak it did seem to all have been heated in one plate, the barramundi still retained its firmness. As mentioned, the menu may have been basic and the flavours quite safe but it also meant nothing was shocking or disappointing. 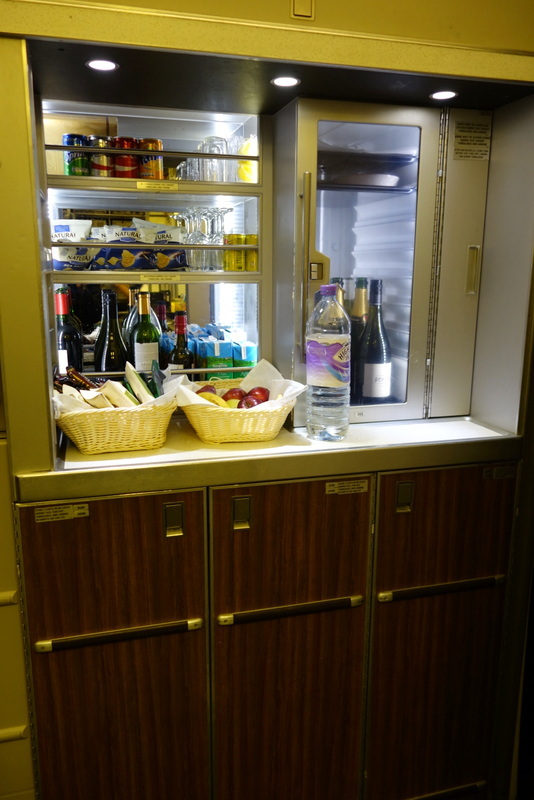 British Airways’ Club World also has Club Kitchen, a space where you can stretch your legs and help yourself to some snacks any time during the flight. Snacks ranged from small packets of chips to cookies and biscuits like Tim Tam, chocolate bars, and fresh fruit. 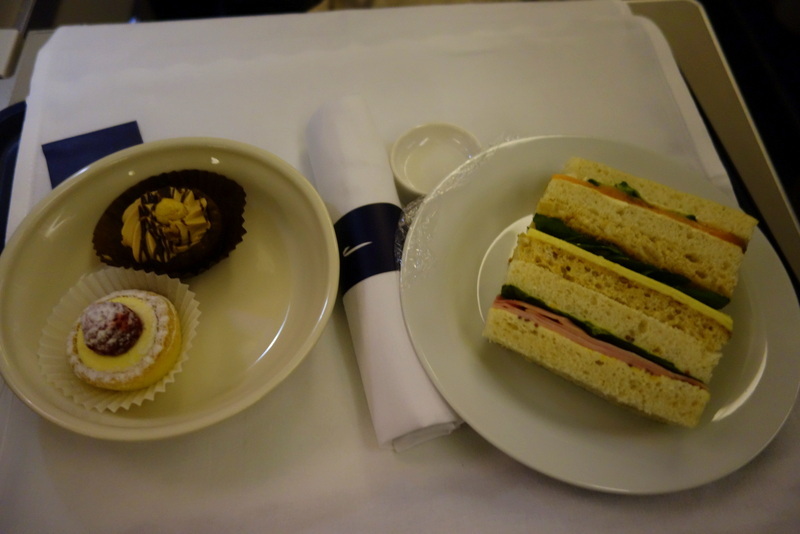 On the Sydney to Singapore leg, afternoon tea was served prior to landing. While there were no fancy sandwich trays, they did serve both sweet (tarts, pastries) and savoury (sandwiches). No scones though. The British Airways Club World entertainment monitors measure 10.4 inches wide. There’s a handheld controller but the monitor is also touch screen. The movie entertainment selection contains classics, all-time favourites , and new releases among all other genres. British Airways’ service is all about efficiency and safety. Requests are handled immediately and what really impressed me with the most is how all cabin crew prioritised safety. They were very strict about not having anything on your lap and in front of your seat during take off and landing. All cabin crew were proactive in taking your jacket / bag off you and place it in the overhead bin for take off, and once the seatbelt signs are off, they would immediately hand it over to you without you having to remind them. Also during mid-flight whenever the flight would experience turbulence and the seatbelt sign is switched on, I was amazed to see the cabin crew not just make the usual rounds of reminding everyone to fasten their seatbelts, but actually physically check under passengers’ blankets to see that they were really strapped in. One of the cabin crew gave me a tip and advised me to fasten my seatbelt outside my blanket so that they would not have to look underneath. Yes, they really do check and place passengers’ safety first and foremost. This was really memorable to me because when I was working as cabin crew more than 10 years ago, I (and the rest of the team on that dreaded flight) got in deep trouble for unknowingly serving a minor cans of beer and getting him intoxicated, and seated next to this kid was an undercover police officer. Long, long story short – we did get out of trouble, just by the skin of our teeth after I spoke at a length with the police officer. Another remarkable thing I noticed: Windows. 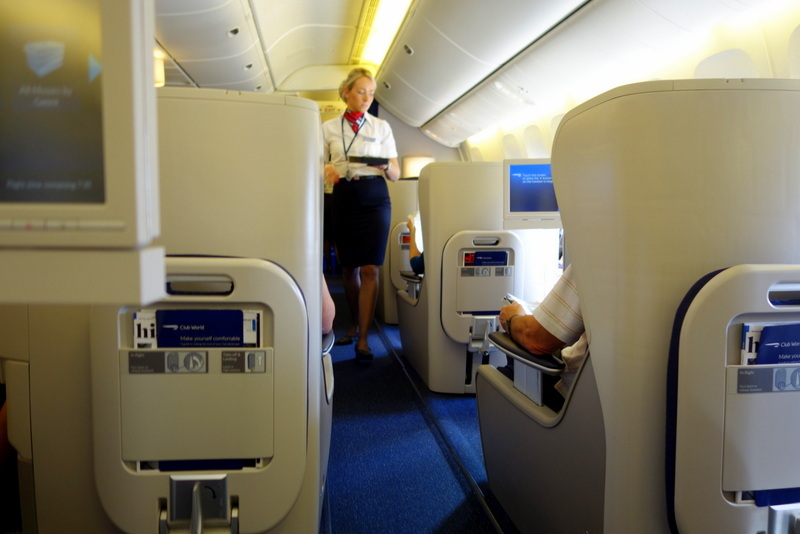 British Airways’ cabin crew did not mind if windows were closed / half open during take off and landing. Perhaps this is now considered an old safety procedure? They were more particular about seatbelts during take off and landing, which makes sense to me because more accidents and mishaps occur with unfastened seatbelts than unopened windows. Here’s a video I created of the flight, which I hope is detailed enough for your to vicariously experience what it’s like to fly British Airways BA 16 Sydney to London on Club World. I arrived in Heathrow wide awake and well-rested. My overall experience with British Airways’ Club World was very pleasant and if I could sum it up in 2 words, they would be: Secure and Safe. I felt secure that I am in good hands should anything go wrong (from slight hiccups like delays to actual emergencies). 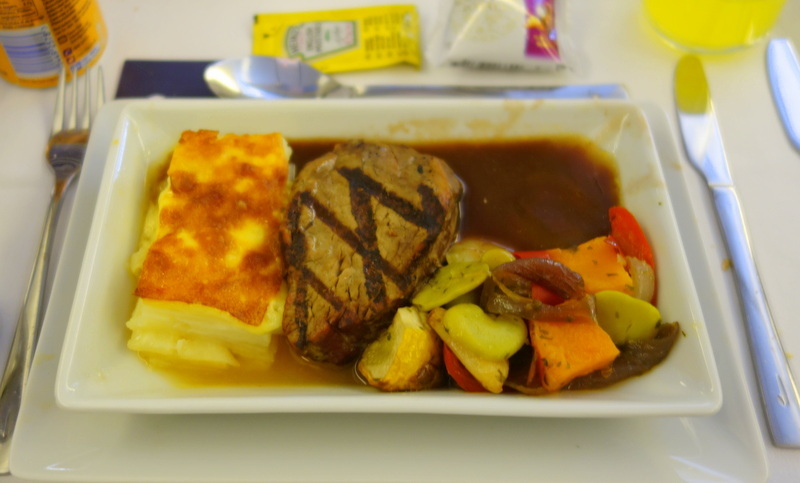 Service from ground to air by BA staff were very consistent, and I would not hesitate to fly British Airways once more for long-haul journeys. 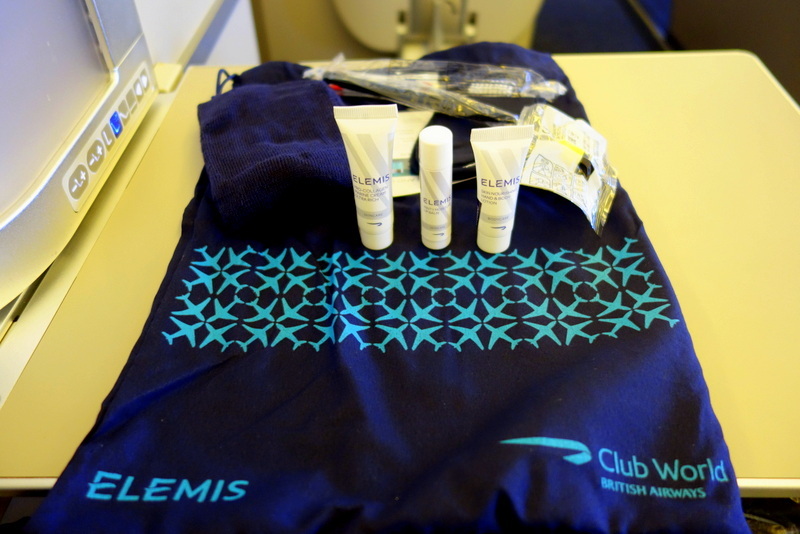 Have you experienced flying British Airways’ Club World? How was the experience? Do you think you would enjoy the yin-yang seats? of a review, but all honest thoughts and opinions are mine. WOWZA… It looks like an amazing way to travel. Love the pic of you all tucked up in bed. The food looks fabulous too. 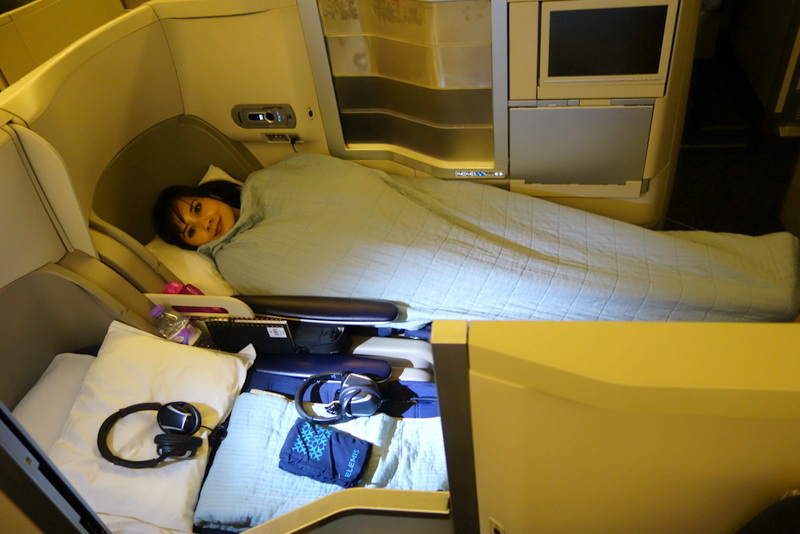 Nope to flying with British Airways, but I’d be up for the experience for sure. 🙂 Hope you are having an amazing trip lovely. Hi Anna! Travelling over 30 hours, flying Club World really helped make it bearable and enjoyable 🙂 Thanks for the visit! Terrific to read this very thorough review, Jean. I feel I would be very well informed by this – so much more information than other websites can provide. I haven’t flow with BA to London for donkeys years and never in Business Class. I can see that the yin/yang seats might be a bit awkward at times, but well worth it in the end as a flat bed makes such a difference to sleep. Food looks great too. I have read this morning a post about an economy flight from Australia to Spain and I was shuddering at the thought of cramped sleeping. 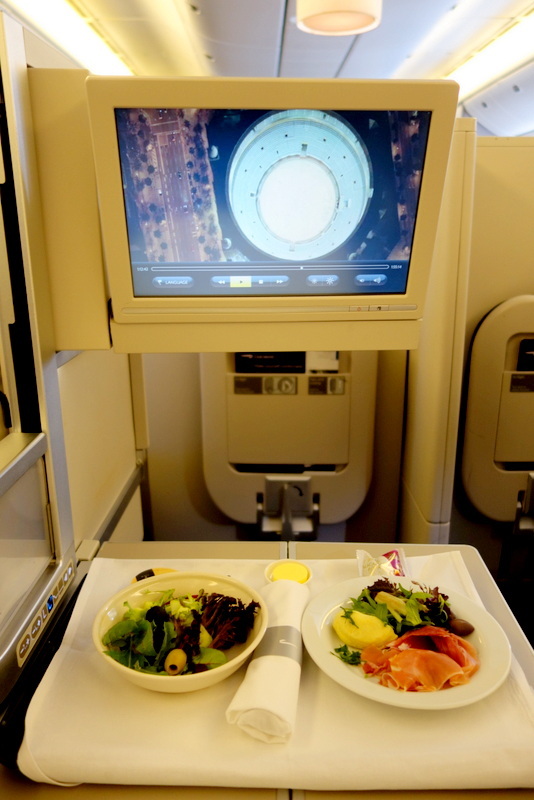 I’ve flow business with Emirates a few times and have loved those flights. But could be time to brand out as I’ve been in Dubai several times but haven’t been to Singapore for about 20 years and would love love love to get back there. Thanks so much Seana, so pleased to know you enjoyed the thorough review! 🙂 Yes, the flat bed difference – I would take the awkwardness of having eye contacts with a stranger if it means flying flat on long haul! Oh yes if you always go to Dubai it does make sense to fly Emirates ( I haven’t flown their Business yet and would love to). 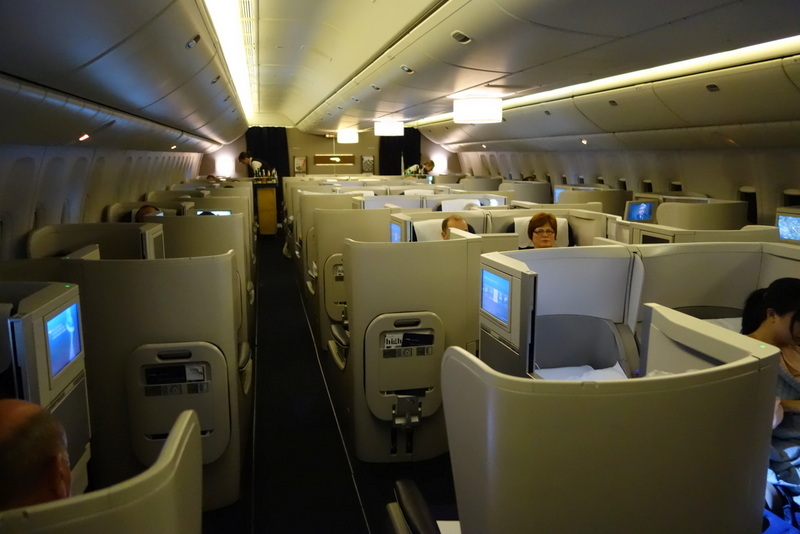 Great review… I only flew Club World for first time between Sydney and London earlier this year and soon realised why some seats book out faster in the Yin Yang system. I was aisle for the first leg, then in the middle for longer leg to London which felt a bit strange being next to a stranger (I actually tried to move back to an aisle or window but it was full flight… then the stranger ended up being tall dark and handsome so it wasn’t all bad). Yes , also I realise how it makes sense for BA to charge seat reservations even in business – because everyone wants the Window seats! 🙂 I have not tried the window seats but if I was travelling solo, I’d also do everything to get that coveted spot . Ooh, how fortunate that the passenger you ‘bunked’ with on the middle seats was a tall, dark and handsome stranger! Haha I wouldn’t have minded too! But on any normal given circumstance, I can see how it can be quite awkward given the close proximity 🙂 I’m really excited to see what changes BA will bring to their new business class seats! 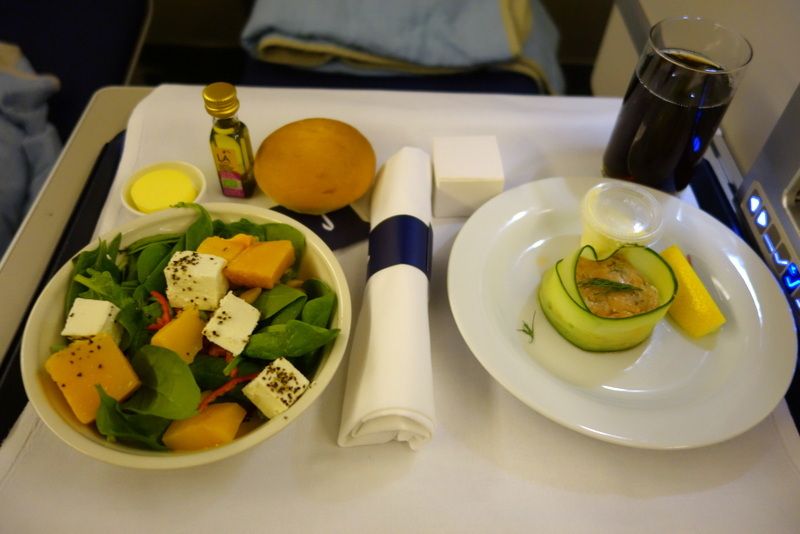 It seems BA significantly improved it’s business class.. Air France should do the same!! Sounds like such a lovely flight Jean! 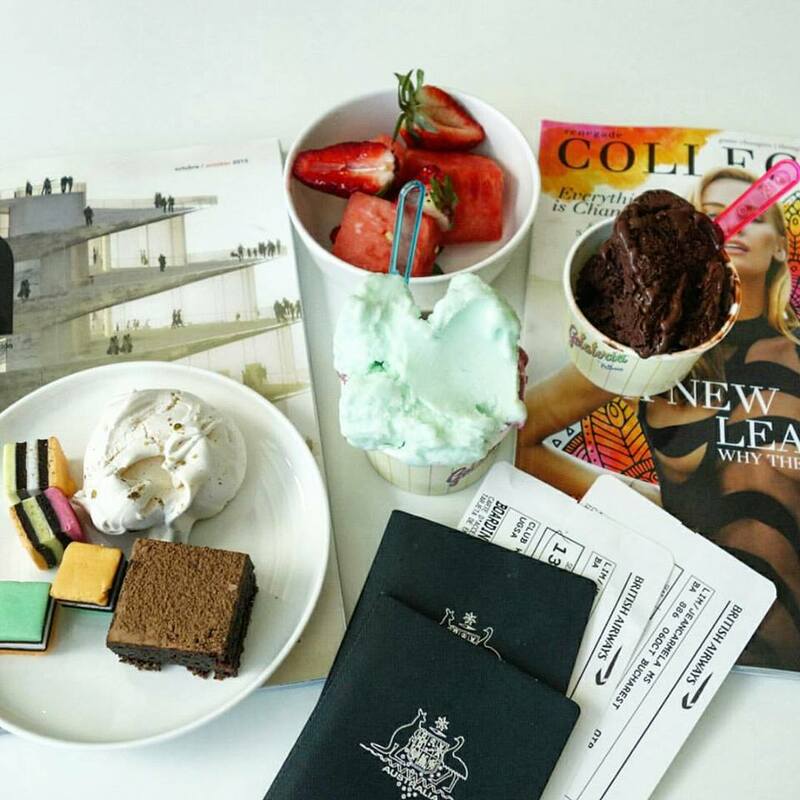 A gelato station to start with and then such yummy looking food on board! I’ve got say, I’ve had some pretty dire experiences with BA economy but maybe I would reevaluate that on club world! And I love the couples capsule style seating. Thanks for yet another very thorough write up review. Good old BA. Whilst prone to industrial action in the recent past they do maintain a very good service. 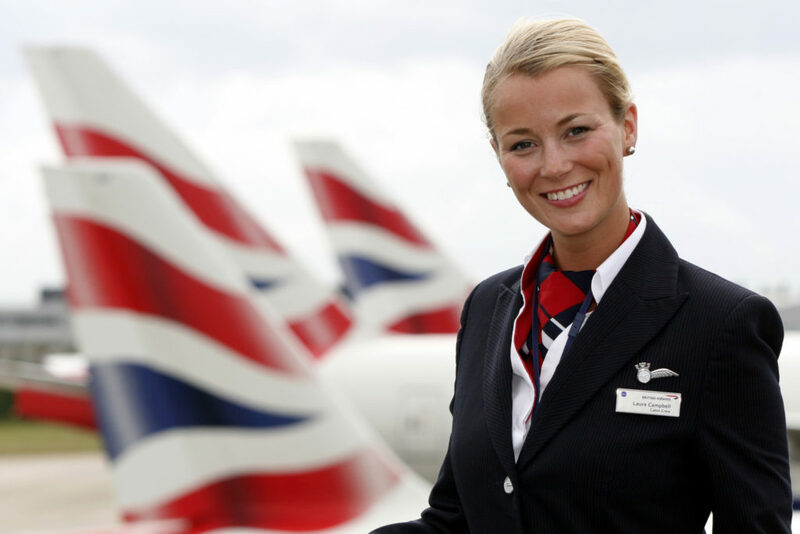 I’ve always found the level of comfort and politeness of staff to be excellent and they really are a top airline. I think you made a good choice using them going long haul. Most times I travel alone so I find the sitting opposite the person sat beside you quite weird. I’m definitely a “me time” type of person so will pull up the divider and avoid any accidental eye contact. I do find the layout of the cabin to initially look like an office rather than a plane. Once settled though it does make sense and make you feel fairly private. 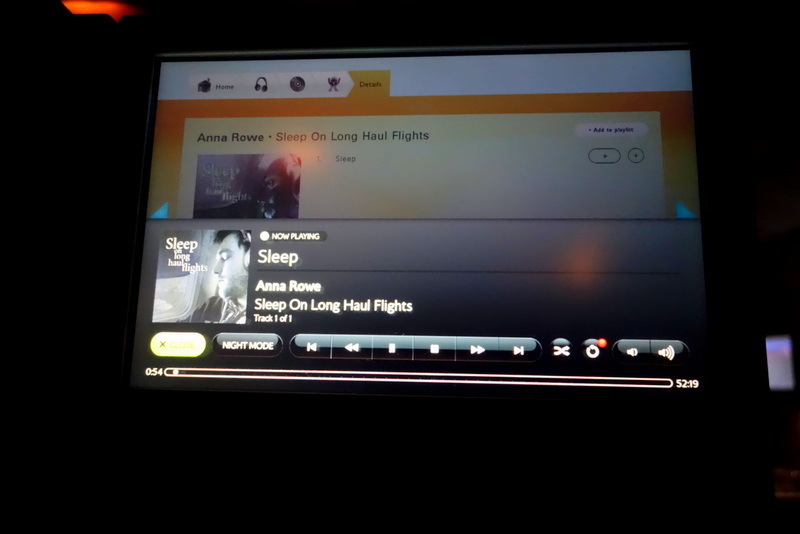 The last time I flew Business Class with BA their entertainment system went down for the flight, not good going long haul. They were very apologetic and without question gifted us some frequent flyer miles as an apology. Scary story about that underage drinker. Good to hear you talk your way out of it as I guess it is easy to mistake the age of teenagers. I agree, BA does maintain good service on the face of everything that’s gone through the company. The staff are sensible and reliable which, fluff aside, is what one needs when travelling. I can definitely see how travelling alone makes it quite awkward especially when in the middle seats. And that’s why they capitalised on charging for seat selection – as the window seats are the best prized, with the most privacy. 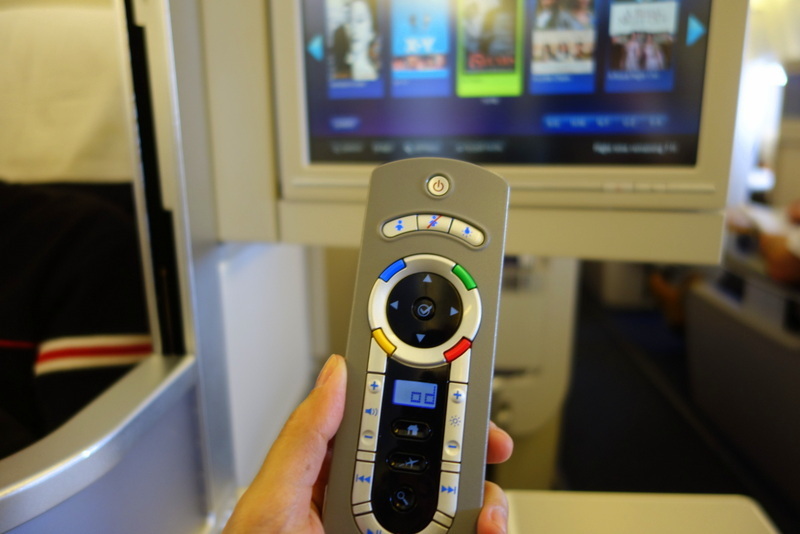 Oh wow, flying long haul with the entertainment system down is not good. I mean, first world issue but still. Glad that they made up for it fairly! Wow! What a nice flight. I think its very expensive, but really nice travel. Hi, did you have time in singapore in that 1 1/2 hr stop over to have a shower/visit BA lounge there in between flights to london to freshen up? Lovely post and enjoyed the video! Enjoying your blog and glad I came across it. Thank you for taking the time for such a thorough review! =) You and “Zombie” are adorable and add a sense of fun to the dreaded review process. Thumbs up! 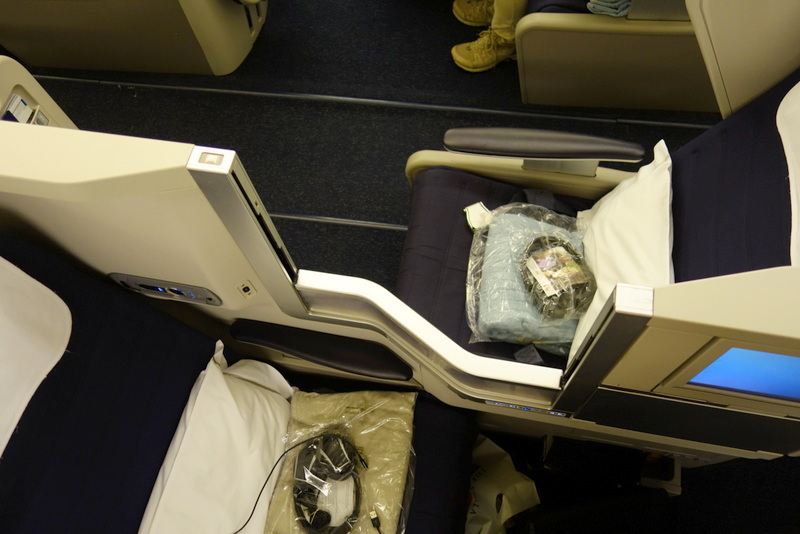 Have flown BA business seats ( Ying / Yang) a few times. Apart from 30 seconds at take off and landing, no sensation of flying facing forwards or backwards. One flight LHR-HKG was ‘interesting’; the male passenger facing me arrived on the plane slightly intoxicated and got worse after dinner wines. FA moved me to another seat and I slept most of the way. Overall, a good product.